Fair market rent value is a term that is used in the rental industry to determine an amount of rent a property could command, in the case that it were available for lease. 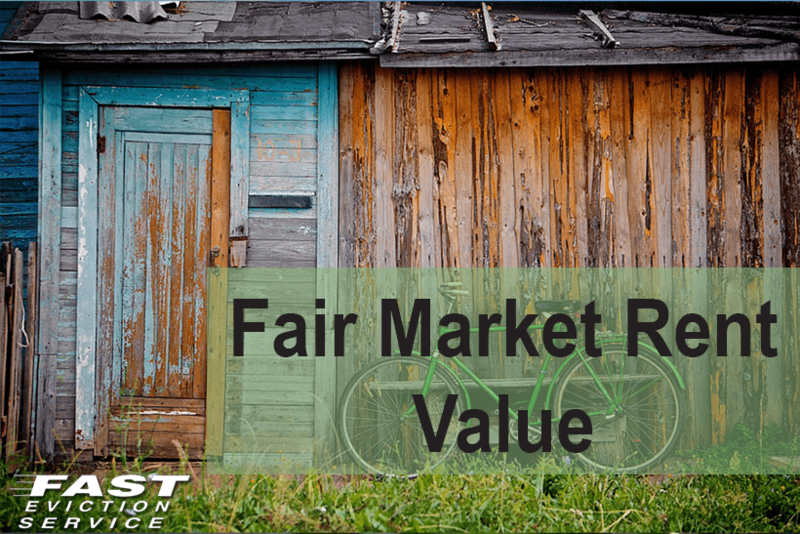 Why is fair market rent value important? Well, for starters, this information is easily and widely available to the prospective tenant of your property. Is it illegal to rent above fair market rent value standards? Absolutely not, but I guarantee you will find yourself struggling to rent your property a bit more than if you were to follow these guidelines. Another reason this information is relevant is because, let’s say, you’re a Section 8 renter. HUD (Housing and Urban Development) is responsible for setting these variables and is only willing to subsidize what they consider fair market rent value of your property. In other words, if your prospective tenant is a Section 8 recipient, and you’re rent is above their fair market rent value, HUD will deny your applicant’s proposal to rent your property. Fair market rent value varies throughout the country. Some variables include local economic conditions and housing demand.